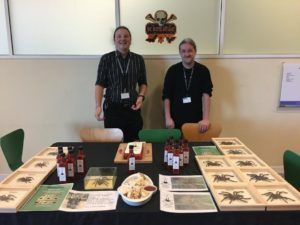 A massive thank you to the tenants at Discovery Park, who came and supported us through our Venom Chilli Sauce launch day. It was a huge success and we are happy to announce we SOLD OUT! For those that did not get a chance to try / buy, we already have another batch being prepared and you will have another opoportunity to get your hands on the chilli sauce on 15th November. More details to follow nearer the time….